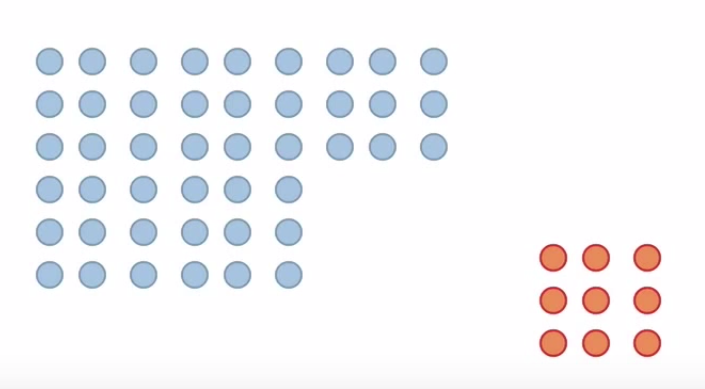 Cross-validation helps to improve your prediction using the K-Fold strategy. What is K-Fold you asked? Check out this post for a visualized explanation. By Sagar Sharma, Machine Learning & Programming Aficionado. Let us say, you are writing a nice and clean Machine Learning code (e.g. Linear Regression). You code is OK, first you divided your dataset into two parts, "Training Set and Testing Set" as usual with the function like train_test_split and with some random factor. Your prediction could be slightly under or overfit, like the figures below. and the results are not changing. So what can we do? 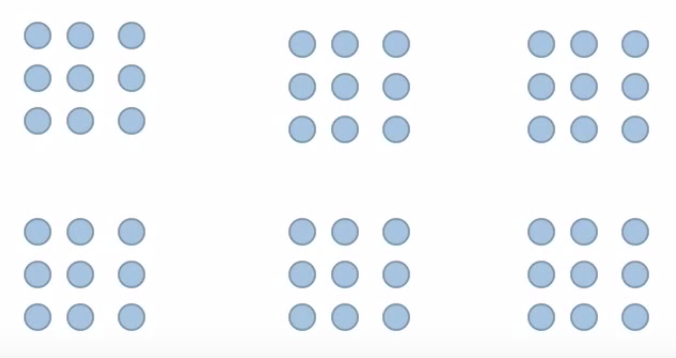 As the name of the suggests, cross-validation is the next fun thing after learning Linear Regression because it helps to improve your prediction using the K-Fold strategy. What is K-Fold you asked? Everything is explained below with Code. 1. Load and Divide target dataset. We are copying the target in dataset to y variable. To see the dataset uncomment the print line. Just to make things simple we will use Linear Regression. 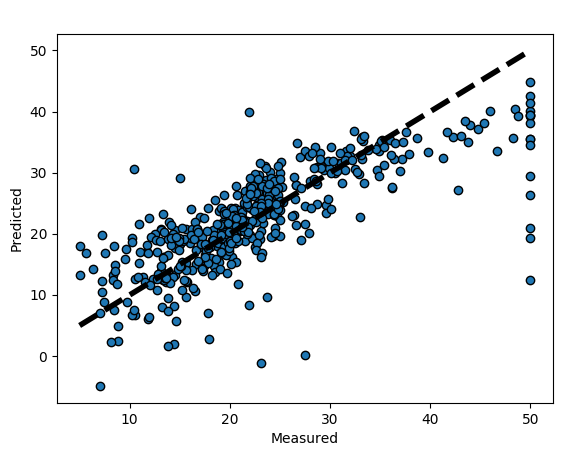 To learn about it more click on “Linear Regression: The Easier Way” Post. target is the target values w.r.t. the data. cv (optional)is the total number of folds (a.k.a. K-Fold ). In this process, we don’t divide the data in two sets like usual (training and test set) like shown below. But we divide the dataset into equal K parts (K-Folds or cv). To improve the prediction and to generalize better. Then train the model on the bigger dataset and test on the smaller dataset. Let us say the cv is 6. Now, the first iteration of model splitting will look something like this where Red is test & Blue is Train data. The second iteration will look like the Figure below. and so on till the last or 6th iteration that will look something like this figure below. For visualisation we are importing matplotlib library. Then making a subplot. 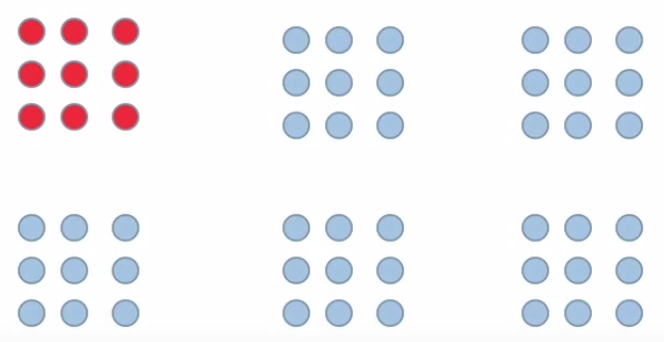 Creating scatter points with black (i.e(0,0,0)) outline or edgecolors. Using ax.plot to give minimum & maximum values for both axis with 'k--' representing the type of line with the line width i.e. lw = 4. Next, giving label to x and y axis. plt.show() at last to show the graph. This graph represents the k- folds Cross Validation for the Boston dataset with Linear Regression model. I’m sure there many types of cross validation that people implement but K-folds is a good and an easy type to start from. Follow me on Medium to get similar posts. I will be posting 2 posts per week so don’t miss the Code tutorial. Contact me on Facebook, Twitter, Linkedin, Google+. Any comments or if you have any question, write it in the comment. Clap it! Share it! Follow Me ! Bio: Sagar Sharma (@SagarSharma244) is interested in Programming (Python, C++), Arduino, Machine learning :). He also likes to write stuff.